Thai boxing, known as Muay Thai, has been a staple for travelers visiting Thailand for generations. A fight card at Bangkok’s old Lumpinee Arena followed by a meal at the neighborhood’s Night Market was always one of the best times you could have in the city, even if you’re not a boxing fan. Muay Thai is a martial art that combines both the gritty competition of kick-boxing with elements of Buddhist ritual. Besides the spectacle of the fight itself, Muay Thai matches feature the Wai Kru ceremony in which fighters show their respect to the Muay Thai masters. The most legendary Muay Thai master was Nai Khanomtom, He was captured in a battle between the old kingdoms of Siam and Burma in 1767. The Burmese King set up a test match between the boxer and nine Burmese boxing champs. Nai Khanomtom won each and every bout though he had no rest between matches, a sort of Louis versus Schmeling for another era. As part of its intention to instill more Thai lifestyle into its marketing, the Tourism Authority of Thailand (TAT) plans to heavily promote Bangkok’s new Lumpinee Boxing Stadium, which has recently been completed on Ram Intra Road in the east of Bangkok. The old stadium, which hosted its last fight card in February (seen in the video above), had been a Bangkok institution since 1956. The TAT believes the new 5,000-seat stadium will be more attractive to international visitors as well as local Thai spectators. The new stadium will feature a Muay Thai Training School, as well as shops and more modern facilities. 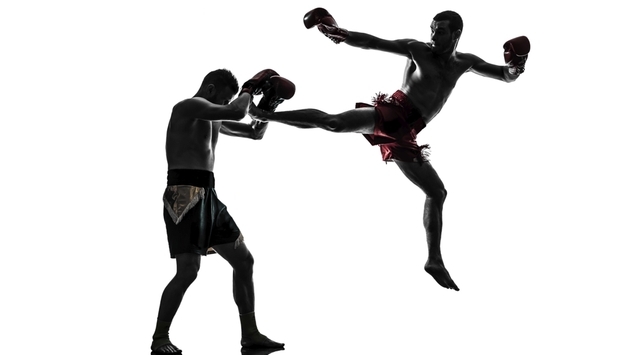 Thai kick boxing is found throughout Thailand from tiny venues including bars to larger more important sites. The TAT says there are 10 major places to view Muay Thai throughout Thailand. The Rangsit International Boxing Stadium on Bangkok’s outskirts, for instance, was established in 1995 and is the first Muay Thai institute with a course of study and a curriculum. Pattaya and Phuket each have two Muay Thai stadiums, while Koh Samui has one.